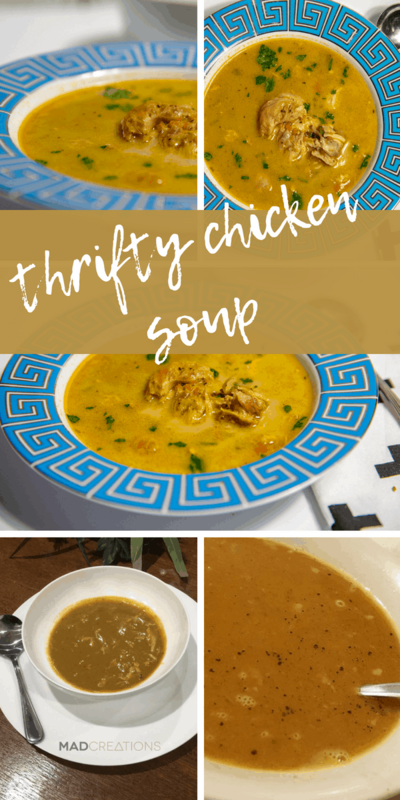 I truly think this Thrifty Keto Chicken Soup will quickly become one of my most popular recipes! This is yet another super easy recipe that has such a depth of flavour. 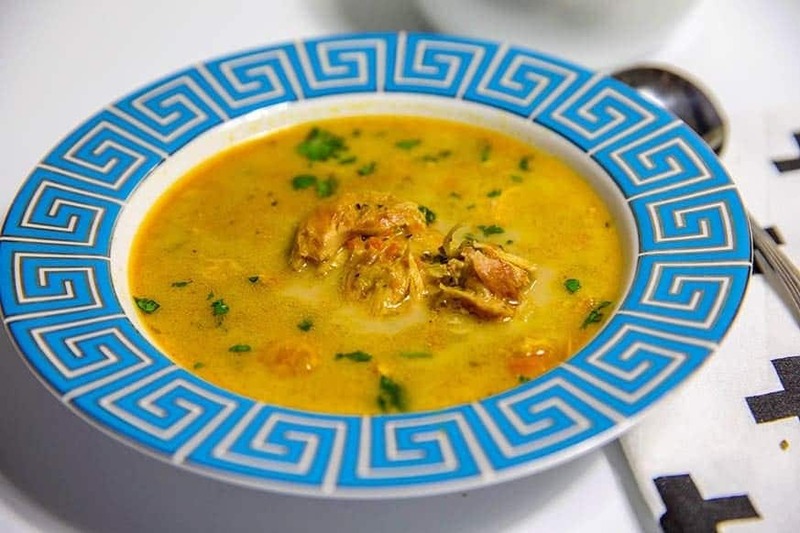 The chicken is melt in the mouth delicious, the soup slightly smokey, salty and herbaceous, overall a firm winner. I am not lying at all when I say I eat this and I clean the bowl with my finger (and straight into my mouth). Its really is that good! 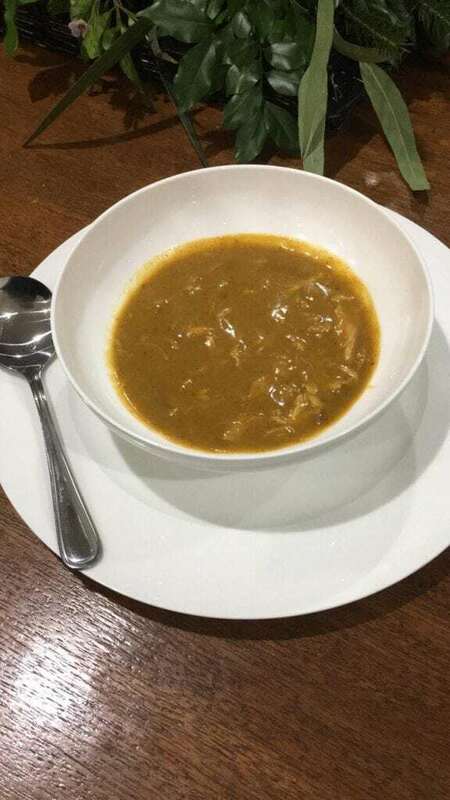 Growing up I far from a fan of soup, any soup at all was not something I enjoyed. Be it chicken noodle, tomato or chicken or corn nothing could tempt me to want to eat soup. I was like if it isn’t something I need to chew, I don’t want it! I guess when you realise I didn’t eat meat from a very young age and a penchant for raw carrots, sunflower seeds, dried apricots and lollies. At least one thing in there was good for me right? So I was very late to warm towards soups at all. Dave used to make tinned tomato soup, with crunchy bacon bits, cheese and Vegemite and hot English mustard toast. Man I loved that, throughout my twenties. Well I can say now I have matured just a little and if the soup is good, then it is MASSIVE hit of mine. This “very thrifty” soup is seriously amaze balls! The meat I have used for this recipe is the chicken “lovely legs”. basically chicken drumsticks that are skinless and had had the end of the bones removed. I picked them up for only $4kg. I have then used some simple cheap vegetables, and I have added Marrow and Meadow Stock Paste and Nutraorganics Collagen. While some may say these ingredients aren’t cheap I find the M&M Broth paste very economical and super tasty. I don’t have the kitchen time to making broth each week. The collagen I have found has improved my hair out of site, and I even don’t think I look the 46 years of age I am. Less wrinkles? Maybe but overall my skin is pretty good for someone who has spent a lot of years on the beach in the water without sunscreen or sunnies. It is incredibly cold right now so if you are looking for a delicious and very simple dairy free soup, then this is just perfect. I really mean it. 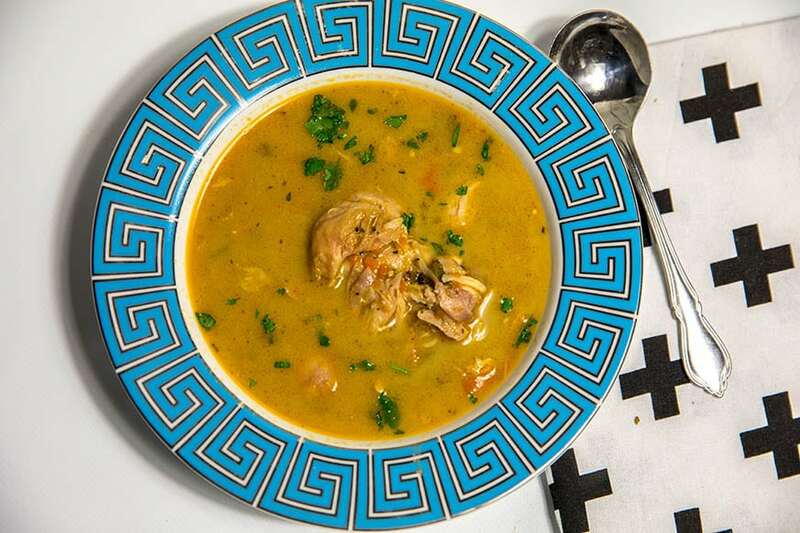 This soup is everything and more that I say. This will not be the last time you make this soup. It is seriously good! 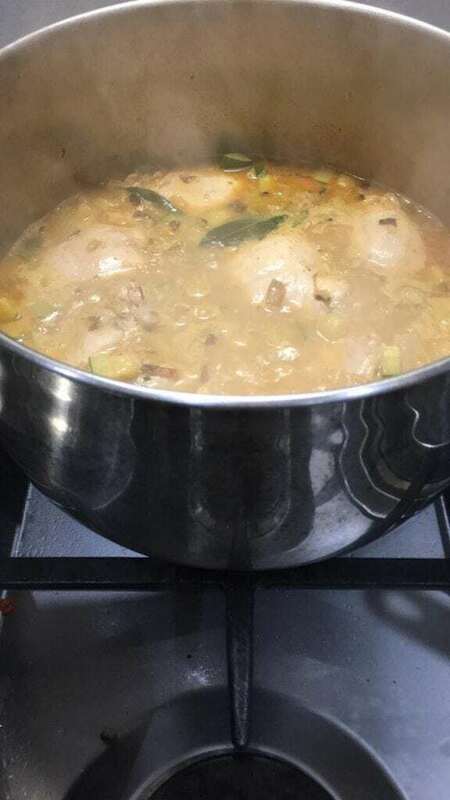 Add chicken legs and zucchini and cook for further 10 minutes with the occasional stir. Add rest of ingredients, cover with a lid and turn temperature down to low. Remove chicken and shred chicken from the bones. Strain soup and blend vegetables into a puree for 5 seconds/speed 5 in TMX or blender. 1.This soup can be made ahead and frozen in individual serves. 2. The bacon bone is purely optional but imparts a delicious smokey flavour. 3. The collagen peptides are a great natural thickener, using it does NOT result in a slimy thickener. It is very gentle and perfect for soup. 4. Bone broth concentrate can be substituted with any stock or bone broth and extra heard and a wedge of lemon in the soup while baking. 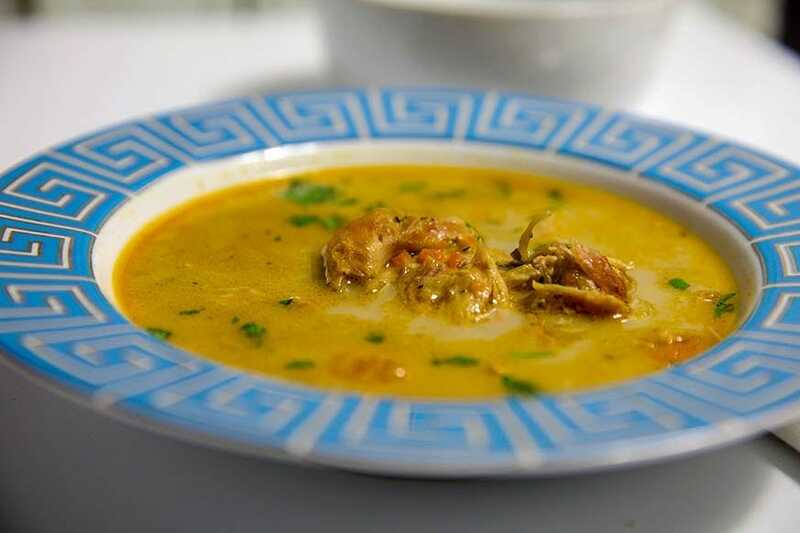 Oh my this soup is so easy to make and so full of flavour. and goodness. Our family really loves it and it has been on our meal plan several times now. I made a double batch the second time round so we had lunches for the work week and some for the freezer stash. Oh and so inexpensive too!! Love this soup! So easy and delicious.